Line 3 is composed of 22 stations (including the iconic Downtown Station and Western Station), 2 depots, and 6 park & ride. 4.8Km at-grade section with 4 shallow-underground stations (including a transfer station). 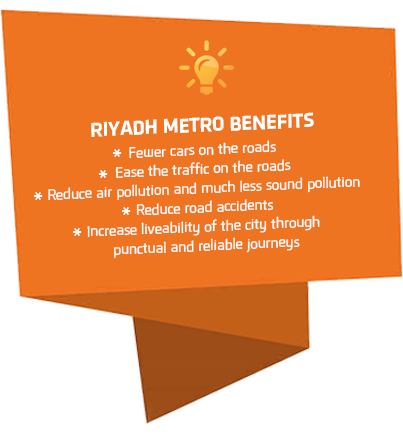 With the Riyadh Metro will benefit all the population by making easier to move around the city and enhancing access to jobs, education and health. There are 9 elevated stations. A typical elevated station comprises 4 levels, which are, starting from ground level and going downwards: Below Level, Ground Level, Mezzanine Level (this floor has two pedestrian entrances), and Platform Level (rail). Among the Elevated Stations, there is also the iconic Western Station. 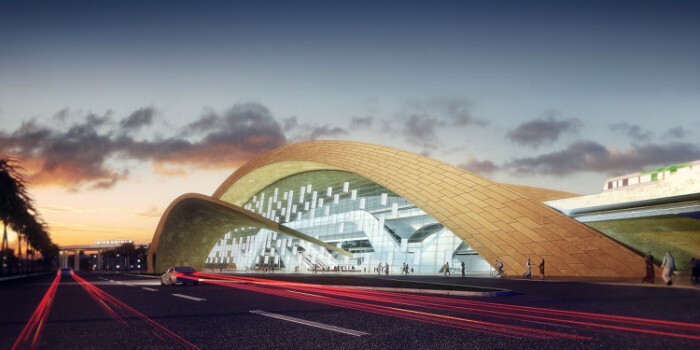 The design concept of the station building is a modern interpretation of the “desert sand dunes”, where a cluster of dune shaped, earth colored structures emerges from the site creating opportunities for station entries, light penetrations and pedestrian shading. Among the Elevated Stations there is also the iconic Downtown Station (transfer station). 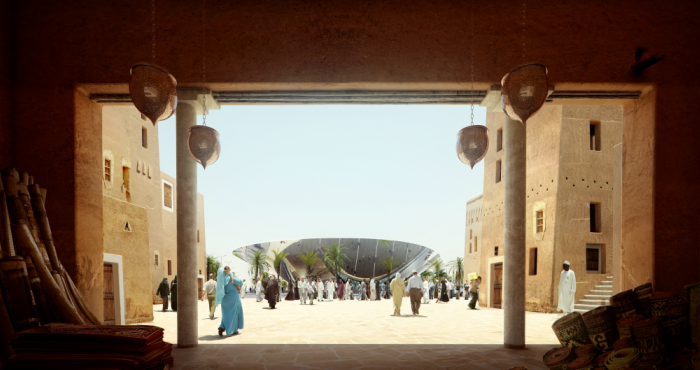 The Downtown Station provides not only a beacon for a new urban awareness in the city but also a public space, an arena for all the citizens of Riyadh. Through the reflective canopy, the levels of the metro are visually linked, like a periscope, reflecting the outside inwards and the inside outward. The canopy rests on a large inclined wall, defining an exterior void which carries indirect light down, whilst acting as a unifying element and reference space in the building. The two metro lines span through this void space in glazed tubes, giving them a strong presence, clarity and sense of wayfinding. A typical underground station comprises 4 levels, which are, starting from ground level and going downwards: Grade Level, Technical Level, Concourse Level and Platform Level (rail). These will be built within the road underpasses. There are 5 shallow underground stations. These will have a capacity of 600 vehicles. All structures will be built using precast concrete elements; the square shaped pillars and floor will maximize the number of parking spaces. The structures will be faced with modular panels in translucent glass, while the surfaces to the sides of the entrances will be faced in granite. East and West Depot are used to perform internal cleaning, inspections, maintenance, repairs and painting of the trains. The structures made of structural steel and concrete mix.